Nadia Murad has also been awarded the Council of Europe’s Václav Havel human rights prize and was joint winner of the EU’s prestigious Sakharov human rights prize in 2016. She is the witness who tells of the abuses perpetrated against herself and others and she has shown uncommon courage in recounting her own sufferings and speaking up on behalf of other victims. She was captured alongside her sisters, and lost six brothers and her mother as Isis jihadis killed the village’s men and any women considered too old to be sexually exploited. Anyone who has read this eye-opening, hugely important book will know how much she deserves the Nobel Peace Prize. She is an incredibly courageous woman. 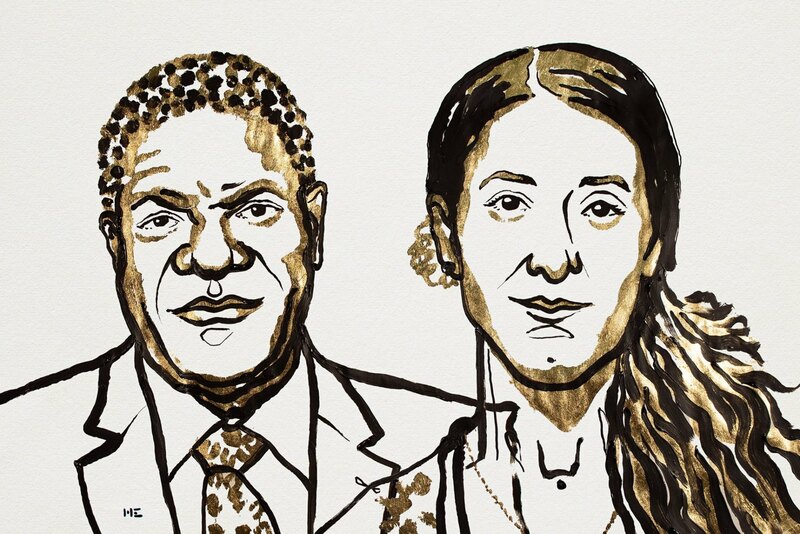 The physician Denis Mukwege has spent large parts of his adult life helping the victims of sexual violence in the Democratic Republic of Congo. Dr Mukwege and his staff have treated thousands of patients who have fallen victim to such assaults. Watch the announcement here and click here for more on the 2018 Nobel Peace Prize.